India's anti-satellite missile test carried out last month was clearly targeted towards China and could exacerbate New Delhi's rivalry with Beijing, a top US expert has said, underlining that India now must brace itself for a long-term space competition. Ashley J Tellis, Tata Chair for Strategic Affairs and senior fellow at the Carnegie Endowment for International Peace on Tuesday said,The Indian ASAT test was in actuality a shot across the bow to China. As such, it will only exacerbate the rivalry with Beijing, even if only silently." India, therefore, must brace itself for a long-term space competition. If it fails to do so, it will have to contend with the worst of both worlds: heightened threats from China in the face of increasing Indian vulnerability, he said. "And that would be an unenviable position for New Delhi as it seeks to play a larger role on the global stage," the top American expert on India said, asserting that India now must brace itself for a long-term space competition. China is developing its counter-space capabilities in response to the US, and New Delhi is now threatened by this Chinese programme, he said. India must improve its capacity to use space despite rising Chinese threats, while sustaining its commitment to protecting space for civilian use, he added. What India accordingly needs more than ever is effective antidotes to Chinese counter-space capabilities that are not debris-causing, Tellis said. Only such capabilities will enable New Delhi to credibly deter Beijing's space denial programmes below the levels of ultimate physical violence directed at various space systems the gray zone in which more counterspace activities are likely to materialise in the future, given the growing international antipathy to any actions that make space unusable for human endeavors, he said. In this context, the best deterrent for New Delhi is to improve its capacity to use space despite the inevitable Chinese interference. There will always be a need for some offensive capabilities, Tellis said. 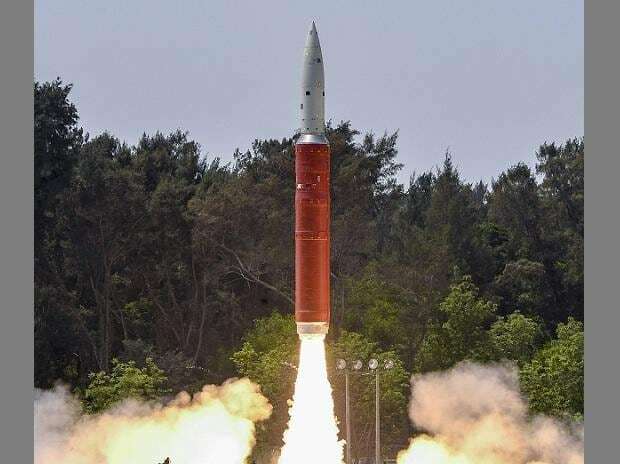 "India has recognised this reality and as such has begun to develop embryonic counterspace systems of the sort exemplified by its ASAT interceptor," he noted, adding that New Delhi has also begun to plan more actively for military space operations, for now focusing mainly on ways to preserve India's freedom to use space for both developmental and strategic reasons without undue interference by others.